Dear fellow Florida car dealer, I started in the retail auto business in 1968, about 47 years ago, and I have seen a lot of changes in the way we dealers sell cars and the expectations of our customers. My remarks in this column are made sincerely and with a positive intent toward you and your customers. I am not trying to tell you how to run your business; I am suggesting a change that will reward both you and your customers. 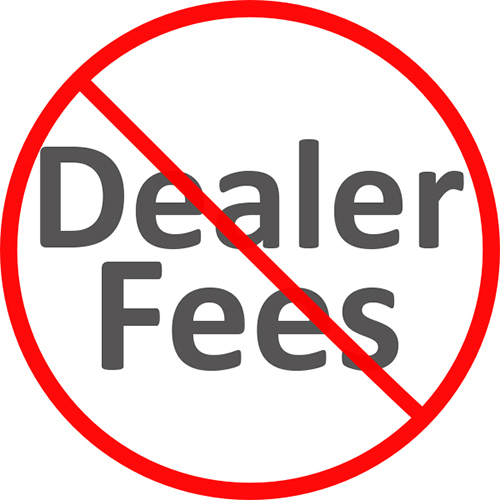 Virtually every car dealer in Florida adds a charge to the price of the cars he sells, variously referred to as a “dealer fee”, “documentary fee”, “dealer prep fee”, electronic filing fee, and tag agency fee. This extra charge is printed on your buyer’s orders and is programmed into your computers. It has been regulated by capping the amount you can charge in most states including California. You charge this fee to every customer and it ranges from a few hundred dollars to over two thousand. Florida law requires that you disclose in writing on the buyer’s order that this charge represents profit to the dealer. Florida law also requires that you include this fee in all advertised prices. You don’t always do this and you get around the law by limiting the number of advertised vehicles (as few as one). The argument that I hear from most car dealers when I raise this issue is that the dealer fee is fully disclosed to the buyer on the buyer’s order or invoice. But, most car buyers are totally unaware that they are paying this. Who reads all of the voluminous paperwork associated with buying a car? The few who notice it assume it is an “official” fee like state sales tax or license and registration fee. Those few astute buyers who do question the fee are told that your dealership must charge this fee on very car, which would not be true if you were to make the decision to not charge the dealer fee to anyone. These astute buyers are also told that all other car dealers charge similar fees. This is almost true, but, as you know, my dealership does not. The reason you charge this fee is simply to increase the cost of the car and your profit in such a manner that it is not noticed by your customer. This is just plain wrong. Dealers will admit this to me in private conversations and some will confess that they have considered eliminating the fee as I have, but are afraid of the drastic effect to their bottom line. By being able to count on an extra $999 in profit that the customer is not aware of, or believes is an “official fee”, you can actually quote a price below cost and end up making a profit. Or, if the price you quote the customer does pay you a nice profit, you can increase that by several hundreds or thousands of dollars. This “extra, unseen” profit is even better for you because you don’t pay your salesmen a commission on it. That’s being unfair to your employees as well as your customers. When the rare, astute buyer objects to the dealer fee, the law permits you to decrease the quoted price of the car by the amount of the dealer fee. This would have the same net effect of removing it. You often tell your customer that you must charge everyone a dealer fee if you charge just one. This is untrue. The salesman won’t lower the price by the amount of the dealer fee because he will lose a big part of his commission (typically 25%) on the decrease in his commissionable profit. If you don’t know me, I should tell you that I don’t profess to be some “holier than thou” car dealer who was always perfect. Although, I never did anything illegal, when I look at some of my advertising and sales tactics 20+ years ago and more, I am not always proud. But, I have evolved as my customers have evolved. My customers’ expectations, level of education, and sophistication are much higher today. Your customers are no different. As I began treating my customers, and employees, better I discovered that they began treating me better. Yes, I used to charge a dealer fee ($495), and when I stopped charging it around 15 years ago, it was scary. But I did it because I could no longer, in good conscious, mislead my customers. Just because everybody else was doing the same thing did not make it right. Now here is the good news. My profit per car did drop by about the amount of the dealer fee when I stopped charging it. But, when my customers realized that I was now giving them a fair shake and quoting the complete out-the-door price with no “surprises” the word spread. My volume began to rise rapidly. I’ve grown from one of the smallest volume car dealers in Palm Beach County to the largest volume car dealer between Ft. Lauderdale and Orlando. Sure, I’m making a few hundred dollars less per car, but I’m selling a lot more cars! I was, and am, selling a lot of your former customers. My bottom line is far better than it was when I was charging a dealer fee. You can do the same.